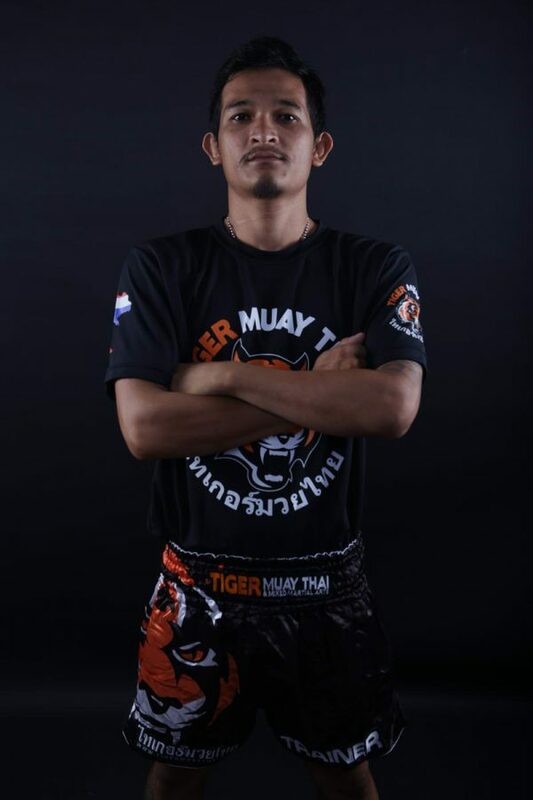 One of Tiger Muay Thai’s longest serving trainers, 28 year old M is well known for his friendly and outgoing personality. Born in Trang, Southern Thailand, M started Muay Thai at 7 years old and had over 200 fights in a career that was highlighted by winning the Southern Thailand championship at 42 kgs. Now retired from fighting, M is a trainer in the beginners program where he passes on his fast, technical style to his students.